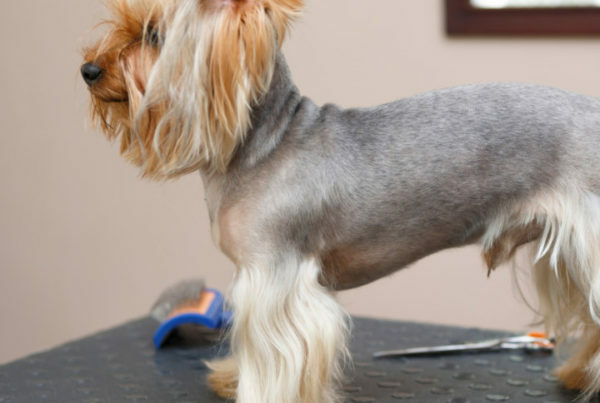 Becoming a certified dog groomer takes some serious skill and practice. 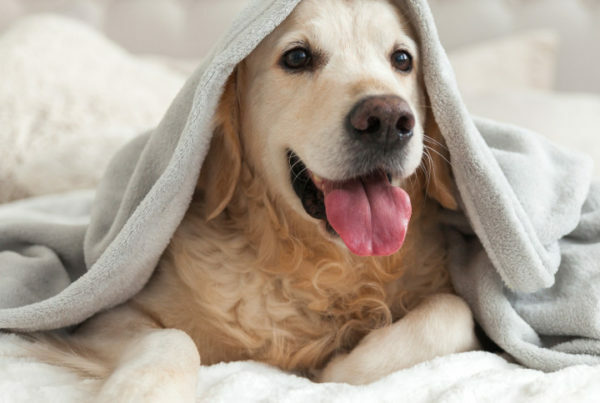 You’ll need to groom a variety of dogs that best suit their coat type and health conditions. It’s next to impossible to groom every dog under the sun as part of your training. But being exposed to a variety of different breeds is 100% necessary! You don’t want to be at a loss when a breed you’ve never groomed before walks into your salon. If you are thinking about a career in dog grooming and want to take a certification course to get started, look no further! Unit G is the final unit before your practicum. You’ll learn how to interpret grooming standards for styling and showing purebred dogs. These standards give different dog breeds their unique looks! 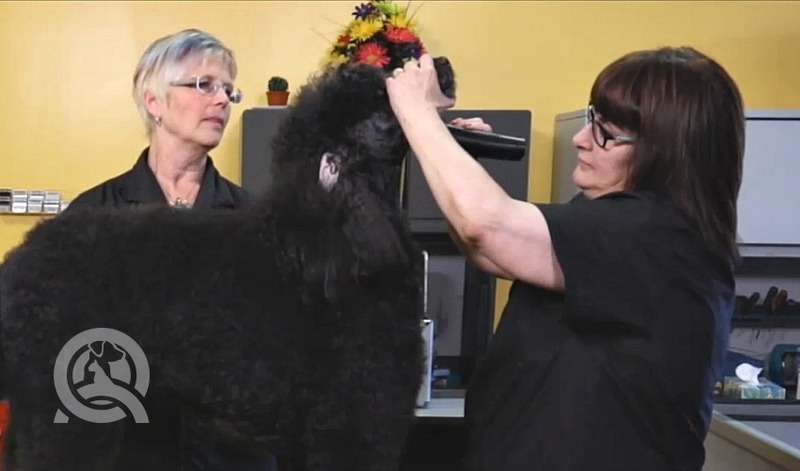 Here’s a video clip that shows you the first stages of grooming a poodle. It is one of the most common Non-Sporting breeds. 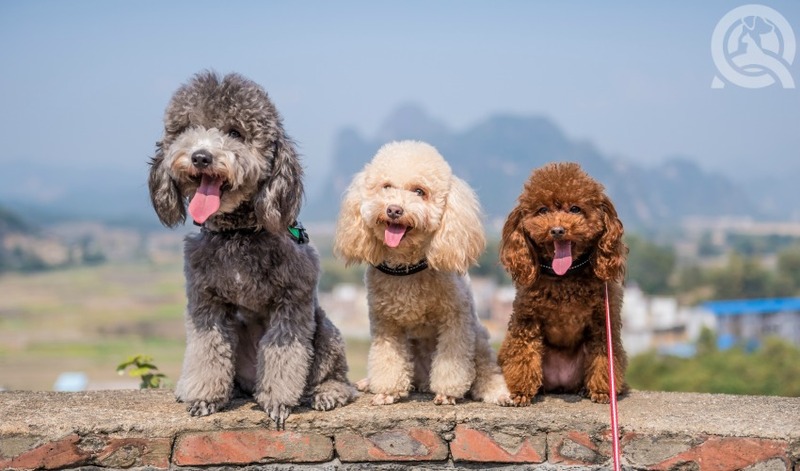 Expect to work with many poodles over the course of your professional career! Please note: The particular dog shown here is extremely well-trained and has grown up on the grooming table. While Lisa and Paddy don’t use a grooming arm or noose in this video, you must do so when you’re completing your groom! Recall the breed standards from your Interpreting Breed Standards course text. You’re required to read this text as part of your unit. Use this text to guide your understanding of the visual techniques in the video. Choose your blade and clippers. Your instructors recommend the #15 clipper blade to set the lines on the feet and face according to breed standards. The #15 blade allows for a close shave. Longer blades don’t allow for a clean, smooth look. Meanwhile shorter blades like the #30 blade could potentially leave nicks on the skin if you’re unfamiliar with the blade. Perform the shave, starting at the face. Start clipping from the corner of the eye to the base of the ear. Then, go straight down the neck in a “V” shape at the breastbone. Do not go below the base of the bone. For the poodle, the entire face and feet are clean shaven! Make sure you use even pressure everywhere you clip. Some areas of caution: At the mouth, stretch the bottom part of the lips out taut before clipping. It’s easy to catch the clippers on the flew, so be careful! The same should be done for the eyes. Pull the skin taut around the eyes so you won’t catch the eyelid or corner of the eye. Finally, be careful around the muzzle near the nose. There’s a flap of skin that can easily catch in the clipper. If you notice a skin condition or irregularity during the groom, be careful around it. In the video, Paddy notices a skin tag by running her hands over the hair before the clippers go over it. Ensure you let your owner know after the appointment of the condition. Do not clip off any skin tags you come across. Finishing touches around the face: A poodle is a non-shedding breed. Ensure their ear canal is thoroughly cleared from hair as well as any other debris! Pro Tip: You can practice running the clipper in and around the skin on your hands. The #15 blade will not nick your skin. Running it around your hand will allow you to know how it feels for the dog. This way, you’ll have a better sense of how to work with the clippers on sensitive areas. Once you receive your course materials, you probably notice that the majority of units have skill/knowledge testing assignments to consolidate the material you’re learning. For Unit G, you actually won’t have any practical assignments! This unit is the lead-up to a 5-part practicum where you groom dogs from head to tail. As we mentioned, the poodle is one of the most common purebred Non-Sporting breeds you’ll groom! You may wish to groom one for your Practicum Unit 5 assessment—the choice is yours! 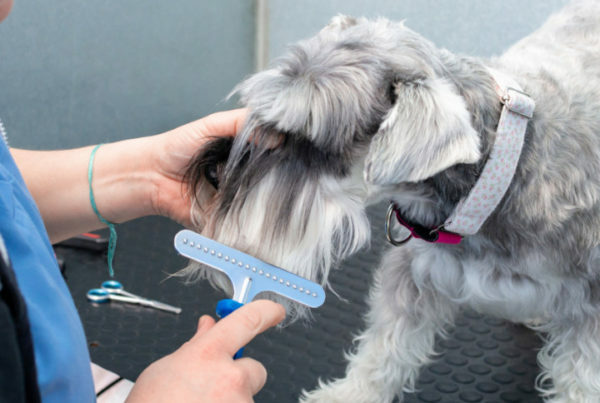 Curious about what else you’ll learn in your dog grooming course? Check out the course outline here for a detailed breakdown! What Does a Typical Day For a Dog Groomer Look like?